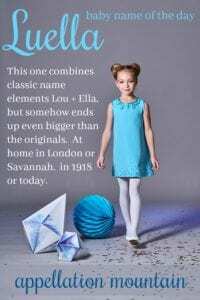 Luella smooshes together that oh-so-stylish Lou sound with the ever-popular -ella ending for a sassy, retro name that’s right at home in the twenty-first century. Way back in the late 1800s, this name ranked in the US Top 200, with alternate spelling Louella not far behind. It was a good age for names with the Lou sound. Lucy and Louise ranked in the Top 50; Lulu made the Top 100. Lucinda and Lucille were popular. Forgotten picks like Lula and Ludie fared well, too. Names like Ella and Della also ranked high back in the day. The sounds have come full cycle, falling out of favor only to rise once more. In recent years, Louisa and Louise have returned to the Top 1000. And just recently, Luella has joined them. It’s a dramatic rise. The name has doubled in use since just 2014. 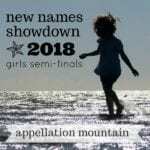 Go all the way back to 2001, and just nine girls received the name. There’s something about this name that feels big. While there’s no single figure that immediately comes to mind, a few notables can be found. My first thought: fashionista Luella Bartley. The English designer has served as a British Vogue editor, designed edgy collections and collaborations with everyone from Target to Mulberry, and penned a guide to English style. She uses her first name as the label for her fashion house. Bartley makes Luella feel English, quirky, and cool. Some digging reveals a few more tales. Back when trucks were a novelty, Luella Bates – born in 1897 – became a professional truck driver, serving as a test driver during the first World War. She became the first woman to earn a driver’s license in New York, and later toured the country for the Four Wheel Drive company, advertising their trucks. Born in 1852, Luella Agnes Owen became a noted geologist and researcher of Missouri’s caves. She presented her findings internationally. In the same era, there’s another scientist as well as a poet. A handful of places bear the name. In the case of one Texas town, it’s because the city’s founder had a daughter by the name. In 1903, Mary Eleanor Wilkins penned a short story about a vampire-like woman by the name. By the 1920s, Luella Gear had become a well-established comic actor, appearing in movies with stars like Fred Astaire. Speaking of Hollywood, Louella Parsons became one of the leading celebrity journalists of the 1920s and 30s. One more possible origin for the name: Llewellyn. It’s a storied old Welsh masculine name, worn by warriors and kings. We tend to associate it the Welsh word llew – lion, but it almost certainly claims much older roots. You won’t find the feminine form in use in the US, though I’ve found a few in the UK. The spelling might work just fine in Cardiff or Swansea, but I think it’s a stretch elsewhere. Blink-182 frontman Travis Barker and Shanna Moakler chose this as the middle name for daughter Alabama back in 2005. In 2008, blogger and baby namer extraordinaire Rebecca Woolf welcomed a daughter called Fable with this middle name, too. Woolf noted that it was inspired by her grandfather, Lou. As of 2017, the name had re-entered the US Top 1000, for the first time since 1955. It stands at #905. That’s still quite rare, well behind Lucy and Eloise, Arabella and Louisa. But there’s something irresistible about this name. It’s part London it-girl, part-Southern belle. Feminine but fierce, retro but thoroughly modern, Luella makes for a distinctive name that still feels exactly like the favorites of the moment. Would you consider Luella for a daughter? First published on October 22, 2013, this post was revised substantially and re-posted on July 20, 2018. We have just named our daughter Luella, our first girl with three older brothers! I wanted an old name that nobody else had and our boys have old names. This was perfect ! My middle name is Louise so it also feels like a little extra connection to me. Everyone comments that it’s a pretty name, we love it! I have an 8 month old Daughter, Luella. I’m due with her little brother in Jan and haven’t been able to find a name I (we) like!! I saw you have three boys with older sounding names and was wondering what they were? 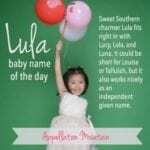 We named our only daughter (three brothers) Luella! She is a twin to Charlie, her brother. Charlie and Luella (never Luella and Charlie…. maybe because he was born first or maybe because it rolls of our tongue better!) Love this name! My 5 year old at the time she was born nicknamed her LuellaBella. I’m so happy to have stumbled upon this! Our third is named Luella June and we call her lulu. She’s so spunky, daring, and sweet! Our older daughters are Meredith (we call her Mae) and Ruby so it felt like it fit the family pattern but it’s very rare to find positive posts about the name. The same thing that you mentioned, though were the appealing aspects of the name: namely that Lucy and Ella are great, but we know for too many of them. As a kid I hated my name. It was my great-grandmother’s name so I always thought it to be too old-fashioned. 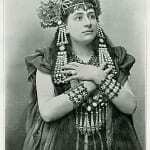 Whenever I met new people they all seemed to know a Luella who was either dead or getting close. As a 33-year-old I am finding that I love my name more and more. It’s uncommon, it’s classic and as Luella Naomi it just rolls off the tounge. I named my daughter an old-fashioned name, Aurelia Lorraine, for that reason. I did get a lot of “Cruella” as a kid. I also got Luey, Lulu, Lala, Lula, Lu, and Wallah. Little kids mispronounce my name the best: Lew Wetta or Wah Lellah. Tee heehee. My name is also Luella I have been called Cruella de ville and other names now im like yes I am if you make me mad. I laugh at people now. My nickname was Elly I used to get picked on for that also now I ignore them I was named after my grandmother. 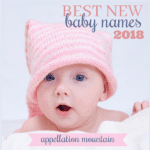 Luella is such a great name – it’s hip, it’s sweet, it’s girly, it’s spunky … It’s odd that I can imagine Luella on such a wide range of people, when it’s not a very common name. Luella is a great name. One of my co-workers is Luella, a very very sweet and nice person. Thanks for doing Luella! I was so excited to see it because I have a baby Luella Maeve (with twin sister Daphne Ramona) and I love the name. We call her Lulu now, but I love that it has several possible nicknames (I love Lula too). Your description of the name is perfect. I like that it’s uncommon but not strange, and has a lovely sound. Luella and Daphne on twins! I love that. Luella Maeve and Daphne Ramona are such nice names for twins! Love. Thanks for the kind words on our twins’ names. It took a long time to choose, but we love them too. I couldn’t use Luella since Luella rhymes with Cruella. Cruella de Vil from 101 Dalmatians is such a nasty character. Plus there are so many nicer Lou names, in my opinion. This was my husband’s mother’s name. She died long before I met him, and I always thought it a charming name if not really my style. Novel as this name is, I still feel like it’s something overly familiar to me due to the sheer numbers of Lucys and Ellas I’m guessing. It seems like a redo of sounds that are already out there in spades, so it’s not for me, though I’d consider it as a middle because of the family connection.